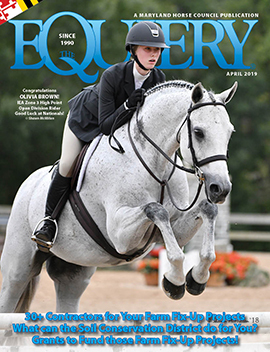 Help Us Celebrate Maryland’s Thoroughbreds! 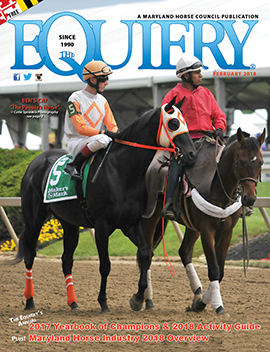 A fitting month to honor Maryland’s State Horse in The Equiery! Featured in the May Issue! Discounted rates below & placement in the special section apply to Thoroughbred barns, trainers and owners for TB themed advertising. Eblast Special – Book a 1/2 page ad or larger & add an eblast 50% off!